‏Associate Professor, Law School, University of Buffalo, New York, USA (2010-‎‎2013). ‏Senior Researcher, Internal Revenue Service National Headquarters, Office of Chief Counsel/Office of Research, Department of the Treasury, Washington, DC (2007-2008). ‏Visiting Researcher, Cegla ‎Center for Interdisciplinary Research of the Law, Tel Aviv University Law Faculty (2008-‎‎09). Post-Graduate Intern specializing in taxation, Ministry of Justice, Fiscal Department, State Attorney's ‎Office, Jerusalem (2000-2001)‎‏. Dr. Leviner has received many awards and scholarships including an excellence-based grant for returning scientists. 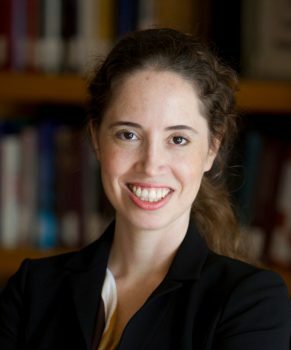 ‎Her research has been published in leading journals including Columbia Journal of Tax Law, Virginia Tax Review, Michigan Journal of Law Reform, and has been cited by authorities in taxation including the Australian Commissioner of Taxation, US court decisions, and the Taxpayer Advocate’s Annual Report to Congress in the US. 2007: S.J.D., University of Michigan. 2002: L.L.M., University of Michigan. 2000: L.L.B., University of Haifa. ‎2. Leviner, S., Nir, T. (2015). Tax Policy in Israel: Contemplating the Three Goals of ‎Taxation. In Honoring Arie Lapidot, 125-171 (David Gliksberg ed., The Sacher Institute ‎for Legislative Research and Comparative Law, Hebrew University Law Faculty). ‎3. Leviner, S. (2014). The Intricacies of Tax and Globalization. Columbia Journal of Tax ‎Law, 5(2), 207-227. ‎4. Leviner, S. (2012). The Normative Underpinnings of Taxation. Nevada Law Journal, ‎‎13(1), 101-141.